India is likely to achieve strong growth over the next decade and will overtake Japan in nominal GDP by 2028, to emerge as the world's third largest economy, says a foreign brokerage report. The country has already overtaken Brazil and Russia to emerge as the second largest BRIC economy after China and is well on track to cross France and Britain to emerge as the world's fifth largest economy after Germany by 2019. "We see India crossing Germany and Japan in nominal GDP in dollar term by 2028. 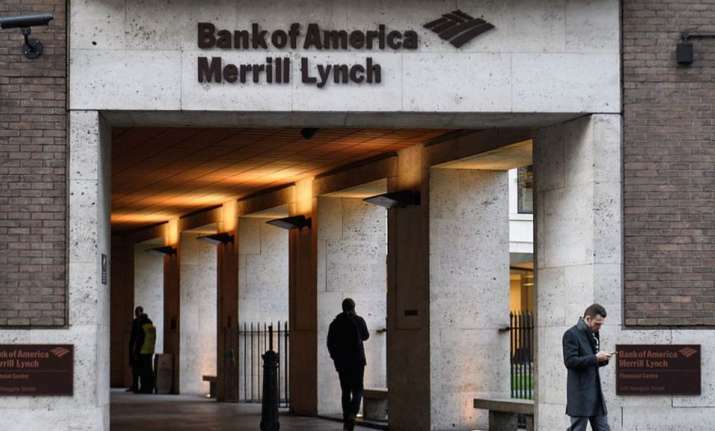 This assumes that the Indian economy grows at 10 per cent (in nominal US GDP) in the next decade, well ahead of Japan's 1.6 per cent," a Bank of America Merrill Lynch report said today. The American brokerage has conservatively projected the country's real GDP growth at 7 per cent potential. Last year the economy closed at $2.26 trillion. But the report did not quantify the size of the economy by 2028 when it would be the third largest after China and the US. The report titled, 'India 2028: The last BRICK in the Wall', said falling dependency ratios, financial maturity and increasing incomes and affordability are the three key drivers for the country to stand among the large emerging economies. "First, falling dependency ratios should raise savings and investment rates. Second, financial maturity, due to financial liberalisation and inclusion, should continue to lower lending rates structurally. "Finally, increasing incomes and affordability will likely underpin the emergence of mass markets, supporting an expected 7 per cent real GDP growth," the report said. It said the dependency ratio (unproductive population in the 0-14 and over-65 age group) is slated to fall to 46.2 per cent in 2028 from 52.2 per cent now and 71.7 per cent in 1990. This should sustain the savings rate at 32 per cent of GDP, at the least, in 2028, comparable to 31.4 per cent during 2000-17, up from 20.5 per cent in the 1980s and the 1990s. A rising savings rate should push the investment rate up to 35 per cent of GDP in 2028 from 32.4 per cent in 2017 and 22.1 per cent in the 1980s and the 1990s. This assumes a sustainable current account deficit of 2-2.5 per cent of GDP. "This, in turn, should lift growth to 10 per cent from 7.1 per cent last fiscal holding the incremental capital output ratio at current 4.8 levels," the report said. The credit to GDP ratio, a proxy for financial maturity, will likely climb to 83 per cent of GDP from 44 per cent (2001-17) and 25 per cent during the 1980s and the 1990s driven by financial extension and inclusion, emergence of financial products and financial market development. The report expects the country's growth to be driven by services. It further said RBI will recoup forex reserves compared to falling import cover. "We continue to expect RBI to recoup forex reserves to guard against contagion in contrast to import cover almost halving since 2008. This should contain depreciation to 3 per cent a year over the next 10 years," the report said. The brokerage said the country is witnessing the emergence of mass markets powered by rising incomes, on the demand side, as well as economies of scale, on the supply side.